Hey, my dear reader! Welcome back! 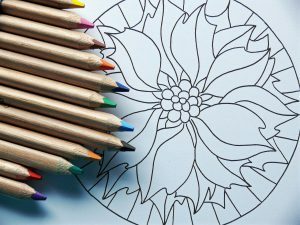 Today I will talk about adult mandala coloring books again, so this article is the second part of two-part series about adult coloring books for stress relief. First I would love to know about you, my friend. Can I call you that? How are you feeling today? Are you ready to find a peaceful place to color mandalas and see how your stress falls away with every second? Each color you use brings you closer to peace. Each mandala gives your more balance in your life. You all know that adult coloring books are great for stress relief. Right? When I first wrote an article about adult coloring books, I didn’t know that coloring is one of the best ways to be in a meditative state. Can you guess why I am even talking about mandala coloring books? Mandalas provide inspiration, a deeper connection to yourself and the world around you. They can help you find peace and balance in your life. You are encouraged to use your imagination and creative powers that sometimes sleep deep inside in yourself. Don’t you think that too often you forget about them? That makes life less enjoyable because you are creative by nature and if you don’t use these gifts then you lose some essential part of you. How can mandala coloring help you with stress relief? It’s easy! Let’s think about it! When there is stress, you are out of balance and peace seems impossible, because so many things need to be done and worry doesn’t let you go even in your sleep. But coloring can bring you in a meditative state when all worries and stressful thoughts and feelings are gone. You are in the present moment and peaceful, enjoying yourself. Creativity reduces stress and helps you let go of negative thoughts and tension. You need to try and see the beauty and power of mandala coloring for yourself. Check these five great mandala coloring books for adults and color your stress away! Description: This book consists of 50 exquisitely detailed mandalas. They were submitted by artists from all over the world and later reviewed by this book’s editors who chose 50 mandalas for this adult coloring book. Description: This coloring book has 70 beautiful mandalas to color at your leisure, and they can help you to relax from daily stress. It can help you to channel your inner creativity and free your mind. 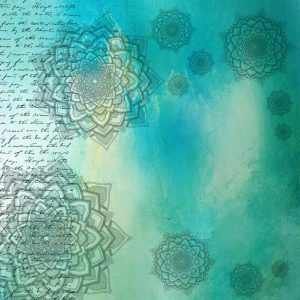 Description: You can use these mandalas to help you find balance and tranquility in your life. 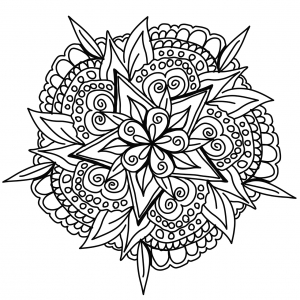 This book has 100 customizable mandala drawings that you can color. It can help you to relax your mind, find inner peace and express yourself creatively. Description: This antistress coloring book for adults can help you with stress management and achieve the inner peace that too often is not easy to find at home or work. Description: This book can give you 30 designs with different styles and levels of difficulty for you to color and enjoy. It has black pages that every colorist loves. Coloring mandalas is a great way to de-stress and relax. This kind of activity can lead you to a better life because you reach a meditative state while coloring mandalas and that alone can give you more harmony. BUY ONE OF THEM and see for yourself how coloring mandalas can change your life! What do you think about these five adult mandala coloring books? Let me know below! If you are looking for the adult mandala coloring books, CLICK HERE Now to learn more. Color your stress away and see, how everything becomes brighter in your life! Until next time, my dear reader!